ELIZE CITY, Thurs. 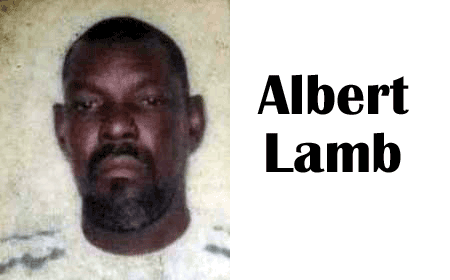 June 9, 2016–“Maca” Lamb, as Albert Alexander Lamb was known to his many friends, died sometime today and was laid to rest at Eternal Garden, his brother Roy Lamb confirmed late this evening to Amandala. Roy said his brother’s body was discovered by the person from whom he was renting his home in Ladyville. Maca was in his bed. Roy said that the body was already decomposing due to the heat, and that a post-mortem exam had to be performed immediately, before he was laid to rest. According to Roy, the family does not suspect any foul play and the post-mortem result showed that Maca died from a heart condition. He was 65. Maca was a “hard follower” of the Penta Lakers basketball team. He was Lakers to the bone. Anyone who knows Maca Lamb, also knows that he was a devoted follower and believer in the “Peaceful Constructive Revolution” of the People’s United Party. Roy said he often joked with his brother, asking him when he would be a candidate in an election for the PUP. “He always teasing me and saying, ‘next election I am up, you know.’”, recalled Roy. Roy said his brother did not have any kids: “All his nieces and nephews were his kids. When he came down, it was payday,” he said. “It was a hard hit for the family, because some family members who were vacationing in Belize just went back to the States on Sunday.” said Roy. Roy remembers his brother as a hard worker. “He was my employee, also. We tried to carry on our father, Walter Lamb’s, undertaking business,” he said. Maca spent most of his early years on Nargusta Street, at his family home.